Silverblade 250 E4 - Keeway Q.J. 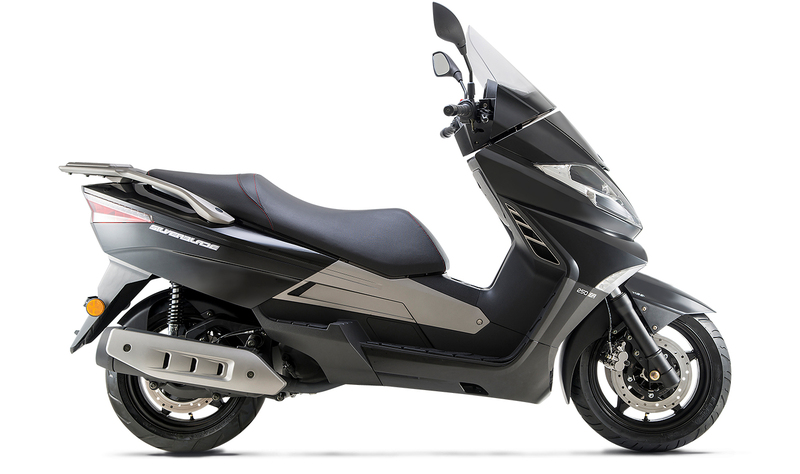 Keeway’s Silverblade 250 is the ultimate expression of Italian scooter design. Sleek, stylish, functional, practical, powerful and beautiful, the Silverblade 250 is Keeway’s flagship scooter for good reason. Think of this as a totally new way to travel: not just getting from one place to another, but experiencing the trip in supreme comfort, style and safety – even with a friend on the back. In terms of comfort, storage, ease-of-use, dependability, handling, braking and smoothness, the Silverblade has no in-class equal in the scooter world. So give one a ride … and change your whole idea of what a scooter can be and do.